Svetlana Lopareva Denture Clinic provides quality Dentures to all our patients. Looking for a reliable and friendly source for high-quality dentures in Vancouver? 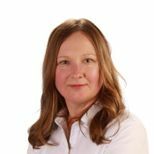 Svetlana Lopareva Denture Clinic is a fully-equipped denturist clinic that is conveniently located in the heart of Vancouver. Every aspect of denture fabrication and every denture is done exclusively in-house. 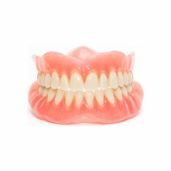 We do quality dentures for anyone who needs them. Feel confident in your smile again. Whether you’ve just lost your teeth or have been wearing dentures for years and need a new set, our clinic can provide you with the high-quality dentures you are looking for. Partial dentures, complete dentures, and dental implants are all available at our clinic and we also will take care of any repairs and relines that you need. Our clinic is equipped with the best denture technology from Canada, Italy, Germany, and the United States. We believe in keeping pace with the constant technological advancements of the industry, undergoing continuing education for a minimum of 10 hours per year so that we can serve you better. We have the Biofunctional Prosthetic System (BPS) which is a fabricated denture that is extremely friendly to your gums. They won’t chip if dropped and are extremely resistant to fracture. If you’re having problems with your dentures, BPS might be the perfect fit for you. When you contact us, we provide you with a free initial appointment. This includes a consultation, examination, and treatment plan. I have been to UBC dentistry for braces, dr.for caps, dr who cut my caps and exposed my roots, and ruined my caps. i was desperate. i looked horrible. yet i was on welfare. my teeth were ugly and badly damaged. my diet, too much coca cola, too much smoking, too much pot, too much coffee, and psychiatric drugs, as well as poor dental care, led me to feel hopeless. i picked Svetlana after talking to her on the phone several times, and i really liked that she had 2 offices, and was available at all times. i recently had Svetlana make me upper dentures, and a lower partial. painful, but the result was spectacular. everyone, including myself thought they looked so natural, it was uncanny!!! now i am confident in my appearance, and am ecstatic about how i look. i talk normally, they fit great, and she puts up with all my pesty calls. i would highly, highly recommended anyone with any problems, go to Svetlana. she is so professional, and is so particular about doing an excellent job for you. thanks, Svetlana, you've changed my life forever. i am so grateful, i can't thank you enough. my smile says it all. From complete dentures to dental implants, our services have you covered.